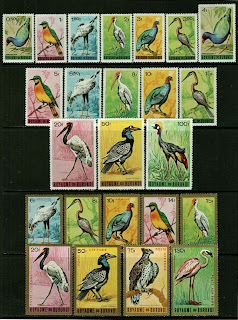 In 1965, Burundi issued a colorful attractive compound set featuring birds (Scott #111-25/C8-16). 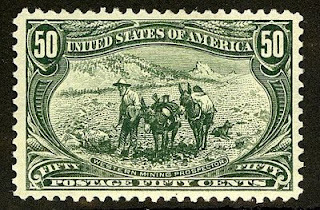 30,000 were issued, and Scott '12 values the unused set at $49.00. 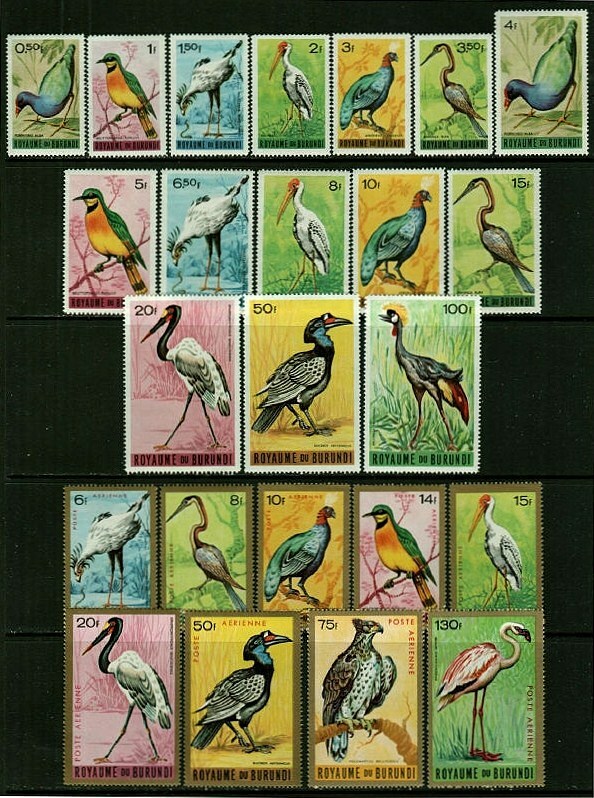 Birds are among the most popular subjects of Animal Topicals, and though it is unlikely that a significant stamp market will develop in Burundi in the near future, there is some interest in Belgium for stamps of its former colony. A nation of about 10 million, Burundi has one of the ten poorest countries in the world. Its largest industry is agriculture, which accounts for over half of its GDP. The nation's largest source of revenue is coffee, which makes up 93% of Burundi's exports. Other agriculture products include cotton, tea, maize, sorghum, sweet potatoes, bananas, manioc (tapioca); beef, milk, and hides. 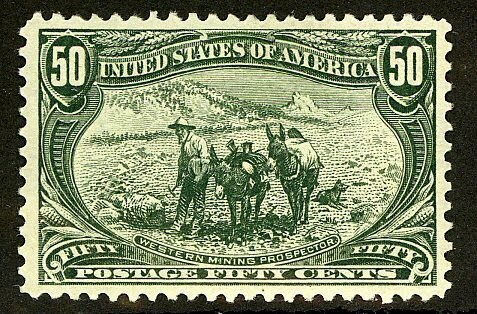 The country also has significant deposits of minerals, including uranium, nickel, cobalt, copper, and platinum. Annual GDP growth has averaged about 4% over the last 5 years.